Inequitable conduct cases don’t happen every day in patent law, so when one comes along, it can be interesting. A recent decision from North Dakota examined an unusual set of facts surrounding the sale of patented hydraulic fracturing technology almost two years before the inventor filed a patent application. After reviewing all the facts, the court determined not only that the prior sale was a material fact (which should have been disclosed to the PTO) but also that the inventor made a deliberate decision to withhold the prior sale from the PTO. Both facts together were fatal. The court held the patent to be unenforceable. 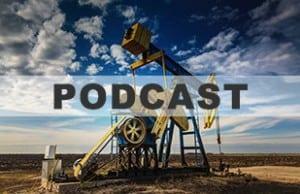 Join Antigone Peyton and Clyde Findley in this podcast as they explore this decision from North Dakota and discuss how future inventors should think about the timing of patent applications when they offer their inventions for sale. Intellectual Property Theft: A National Security Issue?